Dan Pozmanter is a New York based teacher, performer, and various other things. Here’s some mostly relevant highlights! Teaching Experience: Previously taught “Accessing Emotions” and “Fear and Habits” at The Hub. Public Speaking/Intro to Improv Corporate Workshop (Remedy Partners). 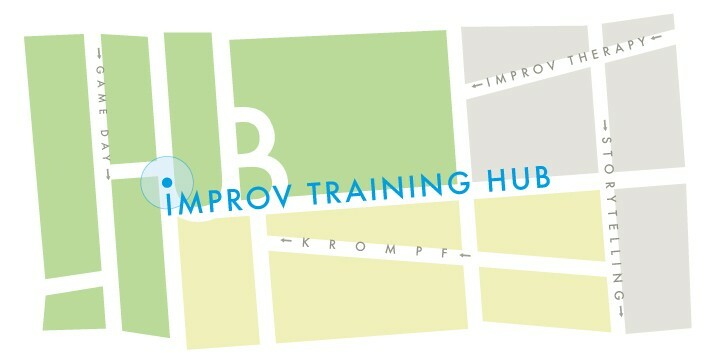 Taught various independent experimental free improv workshops. Taught Philosophy, Rhetoric, and Programming at North Star in Hadley MA. Spoke at PyCon 2017 EduSummit – Teaching Practical Python. Taught (and trained teachers in) Philosophy for Children at schools in MA, NY, VA, MD, DC, and CA. Performance Experience: Performed with “The Austen Family Improv Players” (A Time Out New York Critics Pick which the New York Times called a “favorite”) and 27 Club among others. Hosted Fear Corner and various other one time shows including a few variety shows. Put on a clown musical, played Nate Silver in a sketch video, and provided the voice for an explainer video at a social media startup. Played improv festivals in NYC, Hartford, Boston, and Bethlehelm. There’s also a short film about a cat with powers. Education: Completed the improv programs at the PIT and Annoyance NYC, and studied at the Magnet, UCB NY, Annoyance Chicago, and naturally the Hub. Studied clown with Deanna Fleysher and acting with Ken Schatz. Background in Cognitive Science with a hint of modern dance. Studied a tiny bit of neofuturist non-illusory theater with the NY Neofuturists.